Looking for a family retreat or relaxing vacation with some friends? Porto Bodega's Serenity by the Sea is just what you’re looking for...this renovated, modern and comfortable house is perfect for reconnecting with old friends or unwinding with the family. With breathtaking views right outside your door and steps from the bay this house offers an inviting, cozy place to lose yourself in. Serenity by the Sea is located right in the heart of the town. Everything you want to do is just minutes away. Whether you want to hike, bike ride on the trails, or take a scenic drive, the beautiful views at Bodega Dunes and Bodega Head are just 5 minutes away. Rent a kayak or surf gear locally and go kayaking in the bay or surfing at nearby Salmon Creek or Doran Park. Enjoy a round of golf at Bodega Bay Golf Links, a PGA certified golf course, or take a tour of the UC Davis Marine Lab where you can see deep water marine life. 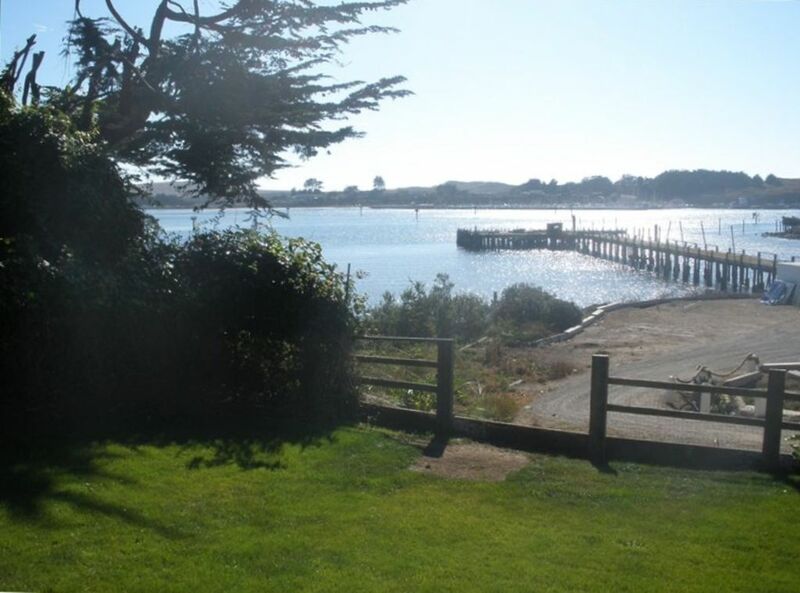 Dine at the nearby Lucas Wharf for some of the best seafood in Bodega Bay or choose one of numerous other fine eateries. And if these experiences don't give you all you desire, take a short drive to visit the Armstrong Redwood State Park, Point Reyes Lighthouse or the Korbel Winery. After a long day of taking in the sights, head back to the house to sit by the fire or relax on the porch, wrapped in a blanket, and witness a breathtaking Bodega Bay sunset. Please view our other ads for our 1 and 2 bedroom vacation homes. Search for ''Porto Bodega'. Thank you and hope to see you soon! We had a great stay. The property had a nice porch to sit and enjoy the view. Kitchen had pretty much everything we needed to prepare meals. You can hear the fog horn but it wasn't too loud and we were able to sleep comfortably. We had all the comforts of home and truly enjoyed our stay and visit around Bodega and Tomales Bay. We will definitely plan another visit. The house was nice, but not as clean as what we've experience with houses we've rented in the past. We had to wash most of the pots and pans before using them. There was a muffin tin that wasn't ever washed after it was used, just put back in the cupboard. The handle in the master shower broke twice. No complaints with the property managers as they were very responsive to our requests. The location was good and the we enjoyed the view of the bay and pretty sunsets. While the house sleeps 6 comfortably the living room seating only sits 5 and the dining table only has 4 chairs. Greetings Kathy! Thank you very much for taking the time to review our property. Your feedback is important to us. We sincerely apologize that our vacation rental was not properly clean prior to your arrival. Service, hospitality and cleanliness are our top priorities. Our staff is committed to the upkeep of our property and to ensuring your vacation needs are met. Thank you for the kind words about management here at Porto Bodega Marina and RV Park. We hope to see you again in the future and you have our word that we will meet or exceed your expectations next time. We are two couples who were celebrating both husband's birthdays. Everything was perfect; just as described. The kitchen was clean and modern with all new appliances, pots, pans and utensils. The beds were comfy with nice bedding and lots of thick fluffy towels in the bathroom. We brought our own wood and had nice fires both nights. The balcony is nice and big a with a great view. Bodega Bay is very mellow - but don't expect fancy restaurants and lots of shopping because there isn't much. However it's great place to be with people you enjoy without all the trappings of the material world. If you are looking for a place to mellow out and relax this is definitely the place We just chilled most of the time, but there are great hiking trails, fishing boats and we saw lots of kayaks in the bay. The four of us plan to come back to Serenity by the Sea next year. I highly recommend staying here. We loved it here! Well equipped, lots of linens and nice beds. (on the firmer side, which I love!) Everything is as advertised: TV with DVD/VCR combo, they have some classic movies here too. Nice kitchen and the outdoor grill works well. We had a men's group from church and thought it was great. Well stocked kitchen had everything we needed for cooking. Yes, there is that buoy that everyone talks about. I heard it too at night, but its not that bad. If you're very sensitive, you may need earplugs. But it's not that loud and we all slept well. The thermostat is a bit confusing, and when the heater is off, it can get cold with the marble tile floor. Once we figured it out, nice and toasty. Can't wait to stay here again! This house was perfect - so perfect that we hated to leave. It was very clean and very comfortable and had everything we needed. We loved the views from the living room, dining room and kitchen. We loved being so close to the marina where we could tie up our kayaks. We had so much fun hiking and kayaking and saw lots of wildlife including an up close and long view of a young grey whale. Everything worked in this house and the property managers could not have been any nicer. They were very responsive. We loved it and would absolutely stay again. We loved the sound of the whistle buoy - it added to the ambience and did not disturb us at all. House comes with no 'directions' on use of heat, stove, location of trash receptacle, etc. There should be a disclaimer for this property regarding the foghorn in the bay. It blew every 10 seconds for about half of the day/night, every day--fog or not. It is like water torture. The beautiful wraparound porch has no chairs. There are two wooden, straight back chairs that could be taken outside to sit but are not designed for this use and would not be comfortable for more than a few minutes. The house is nice but could use a deep cleaning, more than a surface cleaning is warranted. The furnishings are nice and the house is in a quiet area if not for the incessant fog horn. After signing the rental agreement, I did not hear from the landlord again regarding directions, the keys, or instructions of any sort regarding the house. When I emailed the landlord a week or so prior to arrival, I was given directions to the house and info on the key. No other info was provided, no instructions regarding anything in the house were ever provided--heating, stove, trash (could not find a large trash container to toss our trash), etc. The house is chilly this time of year. We attempted multiple times to turn up the heat but the thermostat must be pre-programmed and we could not override it. In fairness to the landlord, we never called to inquire, just bundled up the in the two blankets that were available. There were zero staple supplies (most VRBO houses will have a few things such as aluminum foil, sugar, or items left by previous renters but this house appears to be thoroughly emptied between renters), so stock up. You will want to buy your food/groceries in Sebastapol or Santa Rosa as the prices in Bodega Bay are extremely high. We have rented many times via VRBO, and while this house is by no means a disaster, it is below the expectations we had based on the pictures and the description. Again, in fairness to the landlord we never called to complain, it just was not worth it to us to cause an issue while we were at the house and the issues were not such that much could be done about them anyway, other than the heat situation. Rates are increased by 10% and applied to all days during the Holidays. Please contact us for specific quotes during the Holiday.